ENCINITAS — New Fire Chief Mike Daigle sees more room for cooperation among the fire departments in Encinitas, Solana Beach and Del Mar. As fire chief, Daigle is in charge of the three coast cities, which contracted to share personnel about four years ago. To further integrate, Daigle would like the departments to collectively train candidates and pool resources for equipment purchases. In the coming months, he’ll meet with the three city managers and present ideas on just how the departments can form stronger ties. 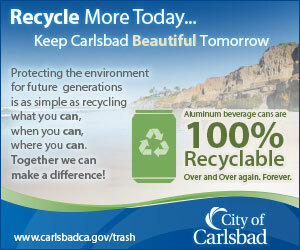 “There’s ways I think we can succeed more as a whole and still keep the individuality of each department,” Daigle said. On the same note, Daigle would like firefighters across the three departments to have the same patch on their uniforms (each currently has its own emblem.) Daigle said the move might seem “insignificant” to some, but it would represent the departments coming together. In addition to more cooperation, Daigle said he’s in the process of drawing up more objectives for each of the fire departments. He replaced Jon Canavan, who resigned three weeks ago after holding the position for only two months. Canavan cited personal reasons and the significant number of hours required for the job when stepping down. Daigle first had a chance to apply for the chief position when Scott Henry retired this spring. Daigle explained that at the time he wasn’t entirely sure the job was the right fit for him. So, he opted to serve as interim chief for five months while the cities searched for a long-term candidate. But the stint made him realize he possessed the right experience for the role. “The further along I went in the interim role, the more confidence I had,” Daigle said. And Daigle found heading the fire departments during the interim “very rewarding,” he said. When the chief role opened up once Canavan left, Daigle didn’t hesitate to throw his hat in the ring. The three city managers recently approved Daigle for the position. Encinitas City Manager Gus Vina said Daigle did a great job in the interim role, a major reason he was recently chosen as the new chief. “He took the bull by the horns,” Vina said. 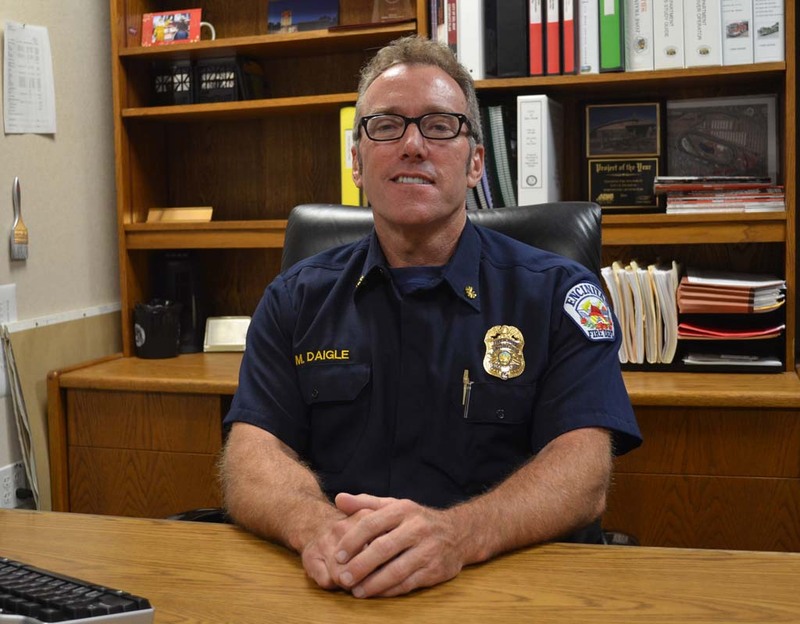 Daigle has been with the Encinitas Fire Department for more than 26 years. He got his foot in the door as a reserve and shortly after became a fulltime firefighter. About 10 years later, he was promoted to engineer, meaning he was responsible for maintaining and driving a fire engine. To prepare, he noted that he would drive around a course made up of cones for hours on end. And he recalled the adrenaline rush of getting an emergency call and navigating through the hordes of cars and other obstacles on the roads. Daigle said “the thrill” of firefighting first attracted him to the career. After serving as an engineer, he became a captain and then later deputy chief. Daigle, who lives in Oceanside and has six children and three grandchildren, now oversees more than 80 firefighters across Encinitas, Solana Beach and Del Mar. Moving up the career ladder in Encinitas has given him a fuller understanding of local firefighting, he said.